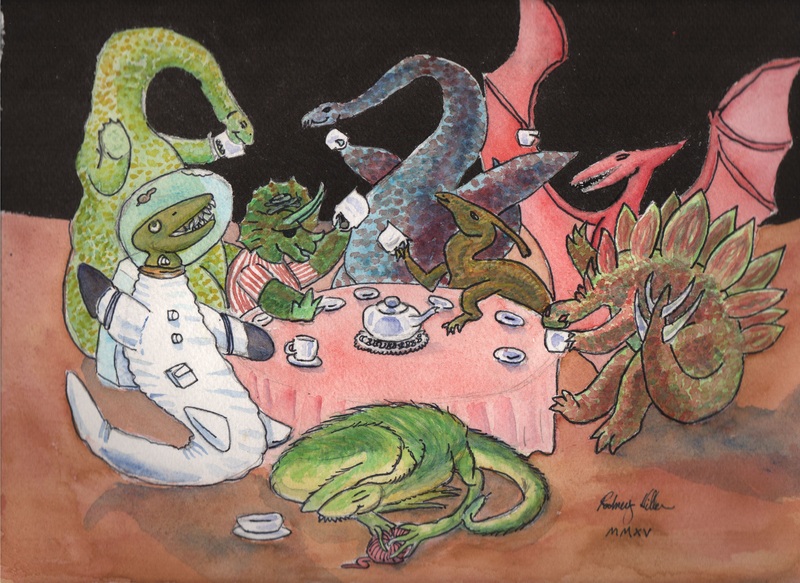 Illustration from the book “Dinosaur Space Pirate” 8×10 on watercolor paper. Happy Holidays, everyone! Be safe and have fun! Print is 8×10 on watercolor paper. Suitable for framing. This print will look great in the nursery, your child’s room, or any where dinosaurs are welcome!